Niccolo Balducci in Editor's Picks UK Politics on 4 December, 2018. Few people tend to bring up Italy and Britain in the same sentence nowadays on topics outside of football. However, perhaps that’s not the correct approach to take. Indeed, these countries share a rich political history that the average citizen in either state tends to overlook. From mutual diplomatic endeavours to clashes on the battlefield, these nations’ experiences with one another are arguably the most fluctuating, yet interesting, throughout the entire continent. Because of this, throughout this article, I will make an effort to emphasize the continuously changing nature of foreign relations between these two states. The story begins on March 17th, 1861, the day in which most of the squabbling states within the Italian peninsula were formally unified into the Kingdom of Italy. By this point, the conflict had garnered extensive renown within Britain thanks to its depiction through panoramas created by Giuseppe Garibaldi, the figurehead of the unification movement. The British government, for its part, didn’t take long to formally recognise the new kingdom. Indeed, parliament had publicly expressed their support for Garibaldi’s cause multiple times throughout the numerous of civil wars within the peninsula. Part of the reason might have been that a new, stable state would have provided Britain with fresh economic opportunities. Indeed, English investments throughout the 1870’s played a key role in Northern Italy’s rapid industrial development. The Italians would re-pay the British in 1885 by occupying Egyptian-controlled Eritrea. As a result, they diverted the latter’s forces away from North Africa, and relieved the English troops who were attempting to suppress the nationalist insurrection. However, by this period Italy had begun to distance itself from Britain by joining the 1882 Triple Alliance with Germany and Austria-Hungary, over the need to counter-balance growing French power. Indeed, the United Kingdom took an opposite approach by aligning itself with its Southern ex-rival due to growing fears of German ascendancy. This collaboration took the form of a 1904 Entente which would go on to include Russia three years later. Thus, whilst it seemed as though Britain and Italy were drifting away from one another, this development was short lived. In fact, The Triple Alliance didn’t heal Italian grievances towards Austria-Hungary over the latter’s control of Italian-speaking territories along the Eastern coast of the Adriatic. Consequently, the Peninsula moved to re-establish positive relations with Britain in 1915 through the Treaty of London. Indeed, the paper stated that the Allies would grant Italy its much sought-after land in exchange for collaboration against the Central Powers. Despite these lofty claims, by the end of the war Britain had failed to deliver, as the 1918 Treaty of Versailles only granted Italy a small portion of the land it was promised. The rampant anti-English sentiments that followed were only quelled by Mussolini’s rise to power in 1922. In fact, the dictator sought to maintain positive relations with the UK in an effort to work towards Italy’s international recognition as a world power. This endeavour was however undermined by Mussolini’s expansionist ambitions throughout the inter-war period. Indeed, the annexation of Fiume, Ethiopia and Albania didn’t sit well with a United Kingdom seeking to uphold the League of Nations’ collective security endeavours. As a result, tensions between the two countries kept mounting, only to reach a climax with Italy’s declaration of war against the Allied powers in 1941. The four years that followed were the lowest point of British-Italian relations throughout history, as both countries’ decades-long frustrations with one another were brought to the forefront. With the end of World War II in 1945 however, relations between Italy and Britain were largely healed. This was partly due to Italy’s newly established democratic government, whose political and economic alignment with the UK ensured both countries would collaborate against the encroaching threat of the Soviet Union. Thus, in 1949, both states agreed to become part of NATO, a defensive organisation largely sustained by the United States aimed at preventing the USSR from exerting her influence over Europe. 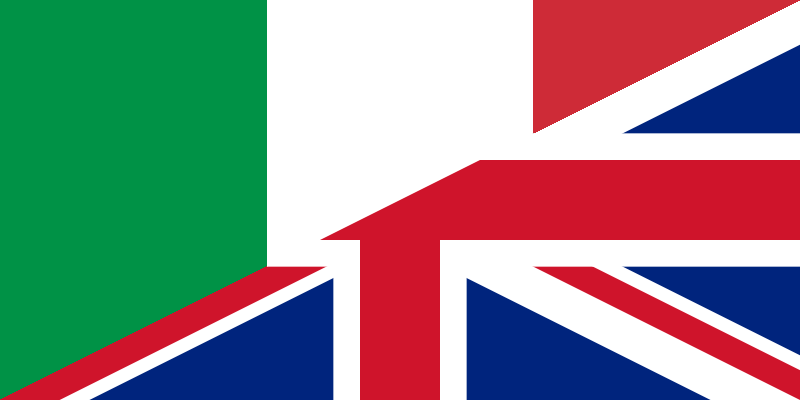 This booming relationship was further tightened in 1973, as by this point, both Italy and Britain had become part of the European Economic Community. Slight tensions however arose over the 1980’s, as Margaret Thatcher’s distrust of the European Community and tendency to take unilateral military actions didn’t sit well with most British allies, including Italy. Nevertheless, relations overall stayed positive all the way through the end of the Cold War and the turn of the millennium. Whilst the results of the Brexit referendum would have expectedly re-heightened Thatcher-era tensions between Italy and the UK over the latter’s lacklustre commitment to the EU, that hasn’t been the case. This is because barely one year after Britain’s triggering of Article 50, Italy went on to elect a largely far-right government led by outspoken euro-sceptical figures. As a result of this, and the heavy concentration of anti-EU politicians in the UK parliament, both countries have been seeing eye to eye in the past few months. Moreover, given Britain’s increasingly strained relation with the US, and a probable “Italeave” in the near future, the UK might want to start courting her Southern friend to prevent isolation in a post-Brexit world. Indeed, it is very much my opinion that, given current trends, the peak of Italian-British relations is yet to come.